Du sparer. Vi investerer. Så enkelt. 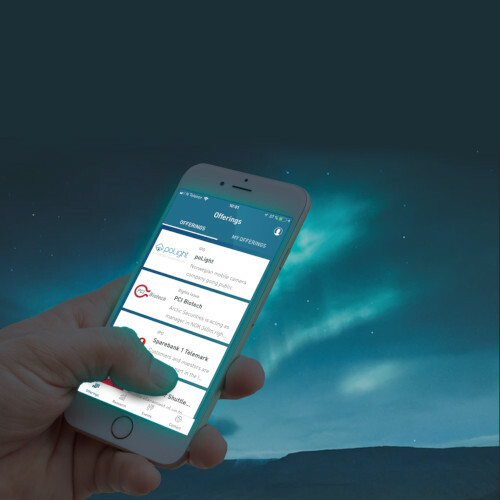 Arctic Securities is a leading, independent Norwegian investment bank, specializing in corporate finance transactions and advisory services, securities sales and trading as well as equity and credit research.  Arctic Fund Management is an independent Nordic Investment Manager. 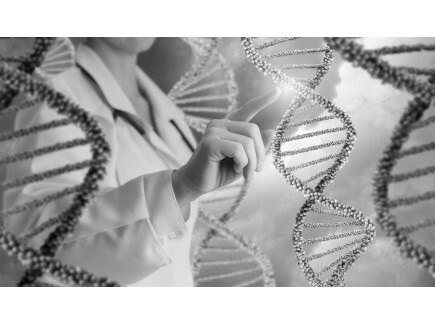 We specialize in managing Nordic equities, Nordic fixed income and Global Life Science. The capital raising vehicle for direct investments in the Arctic group. Our primary focus is on real estate, shipping and offshore through investments in equity and debt structures. Insurance broker with considerable experience and knowledge. Key focus areas are employees benefits, pension and liability insurance. Authorised external accounting firm offering corporate management, advisory and accounting services. 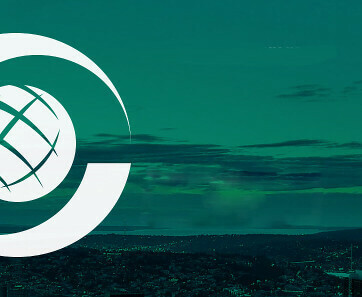 Dedicated team focused on identification, acquisition and development of real estate with development-/value add potential, on behalf of investors. 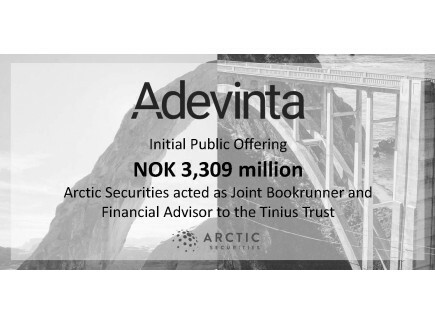 Arctic Securities acted as Joint Bookrunner and Financial Advisor to the Tinius Trust in relation to the initial public offering of Adevinta ASA and the listing of the company’s shares on the Oslo Stock Exchange. Sindre Sørbye tar en kort oppsummering av Mars som ble en relativt flat måned i det norske aksjemarkedet. For Arctic Nordic Equities var norske Elkem og danske farmasiselskapet NovoNordisk noen av høydepunktene, mens det på mange måter ble en noe vemodig avskjed med Arcteryx og Atomic-eier Amer Sports etter 8 år i porteføljen og en årlig avkastning på 33 prosent. 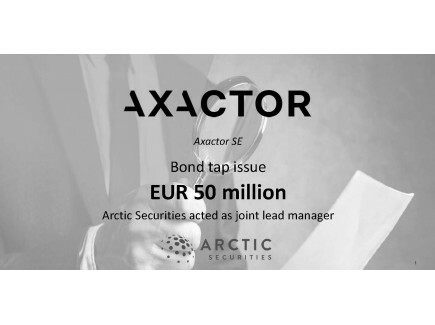 We want to congratulate Axactor SE with its successful tap issue of EUR 50 million, increasing its bond to EUR 200 million. 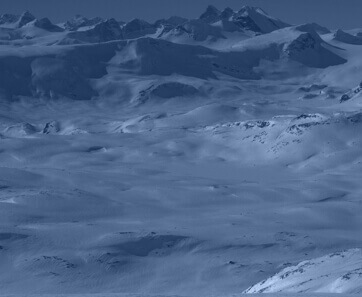 Arctic Securities acted as joint lead manager in the transaction.